Denmark’s Amalie Dideriksen sprinted to the junior women’s road title at the World Championships today in Ponferrada, Spain, becoming the only third person to repeat after Brits Nicole Cooke and Lucy Garner. Dideriksen followed the attacks on the last lap led by the Italian team, but saved enough strength for a bunch kick of 18 riders. Behind for the silver and bronze medals were Italy’s Sofia Beggin and Poland’s Agnieszka Skalniak, respectively. Great Britain enjoyed Cooke’s wins in 2000 and 2001 and Garner’s in 2011 and 2012, but had no such luck today. Garner’s younger sister Grace lost contact on the first lap. 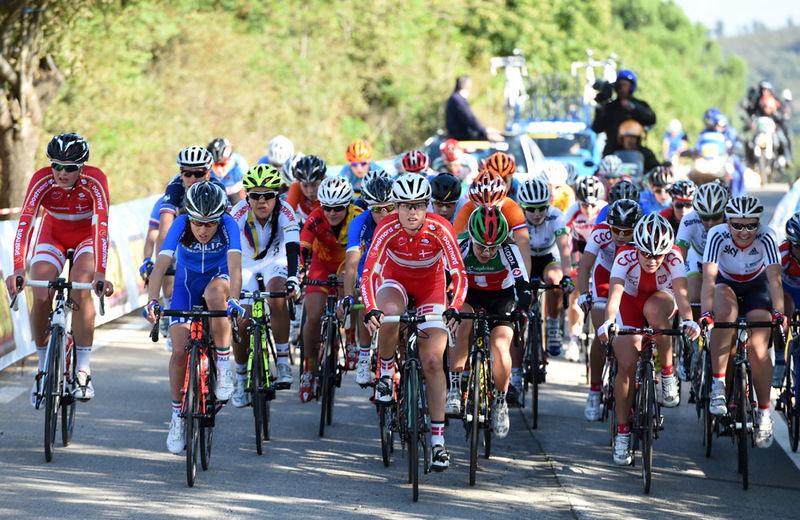 Beth Hayward and Melissa Lowther remained with the group until the final of four 18.2-kilometres laps (totalling 72.8km), but lost contact when the Italians upped the pace on the two climbs. “[Dideriksen] looked good all the way through, she rode at the front or near the front all the way, covered every move. She deserved to win there I’d say,” said Great Britain’s junior coach, Matt Winston. 5. Lisa Klein (Ger) all at s.t.